The launch of the new Vortex ROK DVS engine a few months ago has introduced a new generation of karters to the feel of, and the skills required for, direct drive karting, something that was lost with the demise of previous 100cc engines, but has now been revived around the world over the last 5 years with the latest generation of direct drive 125cc OK based engines. 1st placed ROK DVS Junior and 1st and 2nd placed Senior ROK DVS. 1st placed Mini ROK, 1st placed ROK DVS Junior and 1st placed Senior ROK DVS. 2019 ROK Cup NZL Series Supplementary Rules will be published soon. PLUS limited wild card entries are available to competitors who contest the ROK Cup NZL. Not only does the Vortex ROK DVS have plenty of performance, excellent parity and simplicity of set up, running costs have also been proven to be very competitive. What made you go with the ROK DVS? Shayne Williams (father of Ayrton): We decided to go with DVS due to the parity of the engines. Ayrton was very impressed after driving one. Phil Stewart (father of Ben): Ben had seen that motor on you tube and did say that would be good to do, then 2 weeks later it was launched in New Zealand. He just said I want to do it. Was it easy to set up on the kart? Shayne Williams (father of Ayrton): Yes very easy. Nick Isaac (father of Ben): Yes. Phil Stewart (father of Ben): Yes. Supreme did ours but I put Will Chronis’s one on with Alex in about 2.5 hours, not hard at all everything was there. How many hours have you done? Shayne Williams (father of Ayrton): We have currently done 13 hours on our engine. Nick Isaac (father of Ben): About 10. Phil Stewart (father of Ben): We have done 32 hours. Have you done anything to the engine (Piston, Ring, etc)? Shayne Williams (father of Ayrton): At this stage we have not done anything to the engine. Phil Stewart (father of Ben): Ben’s motor was the first to go on the dyno before anything was replaced. A new piston and ring was fitted at 17 hours prior to the 2018 National Schools Champs. There was only a small gain at 8500 to 9500 rpm, but slight drop at peak rpm with the new piston and ring. We had to replace one of the exhaust gaskets and an idle screw in the carby. We have only cleaned the carburettor out once. How much have you spent on the engine since purchase? Shayne Williams (father of Ayrton): Zero. Nick Isaac (father of Ben): Nothing. Phil Stewart (father of Ben): Piston, ring and Dyno run in: $410 (same as a Mini Rok), Idle Screw: $12.50, Exhaust Gasket: $2.50. Have you had any problems with not starting out the gate? Shayne Williams (father of Ayrton): We have not had any problems at all. Phil Stewart (father of Ben): No, starts first time every time. What does your driver like about the ROK DVS? Shayne Williams (father of Ayrton): Ayrton loves the acceleration. He also loves the sound. He likes the fact that winning is a case of driver ability and kart set up. Not how much $$$ you are spending on the engine, which levels the field. Nick Isaac (father of Ben): The speed. Phil Stewart (father of Ben): (Ben says) The speed, the response and you have to think when you are driving with direct drive. Have you had any drop in performance? Shayne Williams (father of Ayrton): We have not noticed any change in performance. Phil Stewart (father of Ben): No not at all, even at 17 hours and we are now at 15 hours on first replacement piston and ring (we will only do a ring for North Islands). What has it been like to set up for the different tracks? Shayne Williams (father of Ayrton): We have found it's more kart set up than having to do anything to the engine. Nick Isaac (father of Ben): No jetting changes needed, run the 100 all day long. Gearing changes as usual. Phil Stewart (father of Ben): Just sprockets and kart set up. Do you have to change the jets for different tracks and climate conditions? Nick Isaac (father of Ben): No. Phil Stewart (father of Ben): We have found the 102 to work everywhere, 100 if it is hot. What do you think the parity of the engines is like? Shayne Williams (father of Ayrton): Appears to be very consistent. Nick Isaac (father of Ben): Seems good from what I've seen. Phil Stewart (father of Ben): The parity is perfect. Look at the racing of Ben, Leo and Ayrton at Top Half Auckland, super close also look at the other events they have been at, the lap times are all within 0.2 sec of each other. I also think the driving standard will improve. Ben cannot start it by himself but he has come off the track and has worked out how to keep the kart running and getting back on the track. Also he has only spun twice in 32 hours. The very reason why these engines should be perfect for 95% of racers is the performance parity because it cannot (evidently) be improved. The fact it’s not push button start has put people off. I actually think it will improve driving standards as the risk vs reward for desperate moves changes. 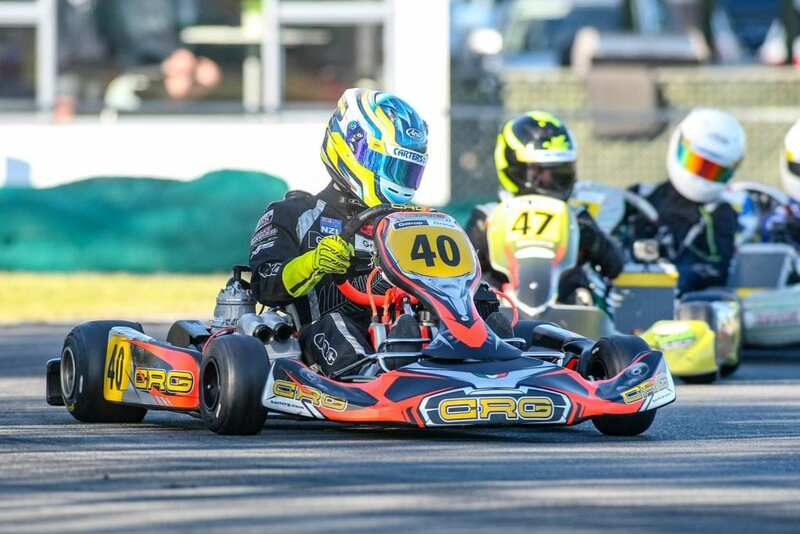 2019 CIK Trophy of NZ will be the first major event for Vortex ROK DVS Senior class. 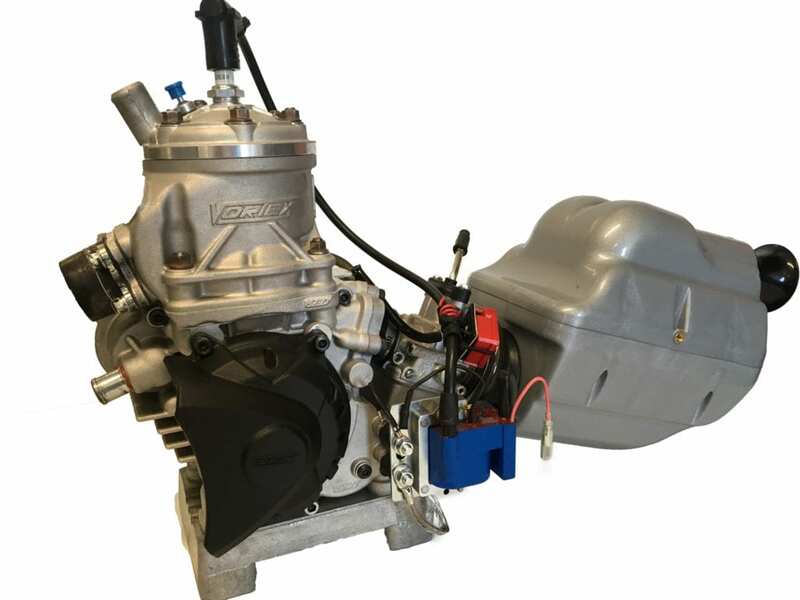 Supreme Kart Supplies currently has Vortex ROK DVS engines in stock. However we are expecting these will all sell leading up to the CIK Trophy of NZ event in January 2019. If you are planning on competing at this event, then order your engine now to guarantee engine availability. Contact Maurice or Kane on 06 758 8891 or your local kart shop to reserve your engine. 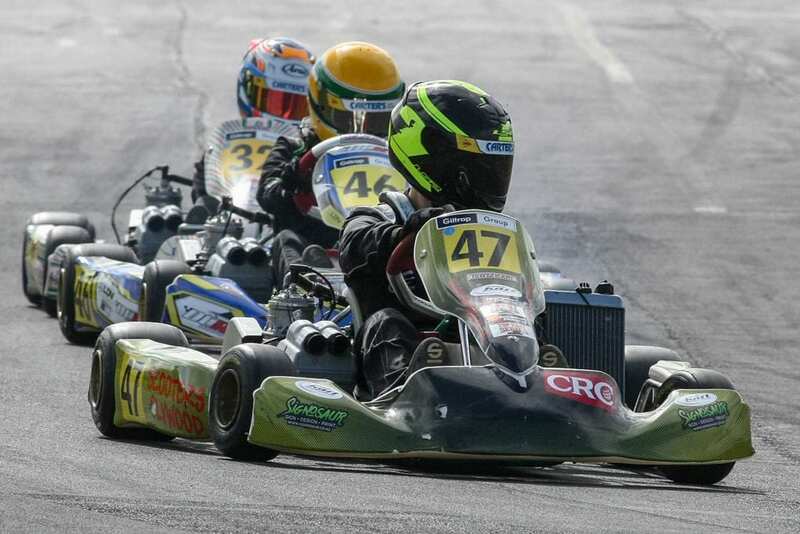 CAPTIONS: Leo Scott #47 leading Ayrton Williams #46 and Ben Stewart#32 at Top Half Round 2. Ryan Wood #40 2018 National Schools Champion; Credit G Hughes. 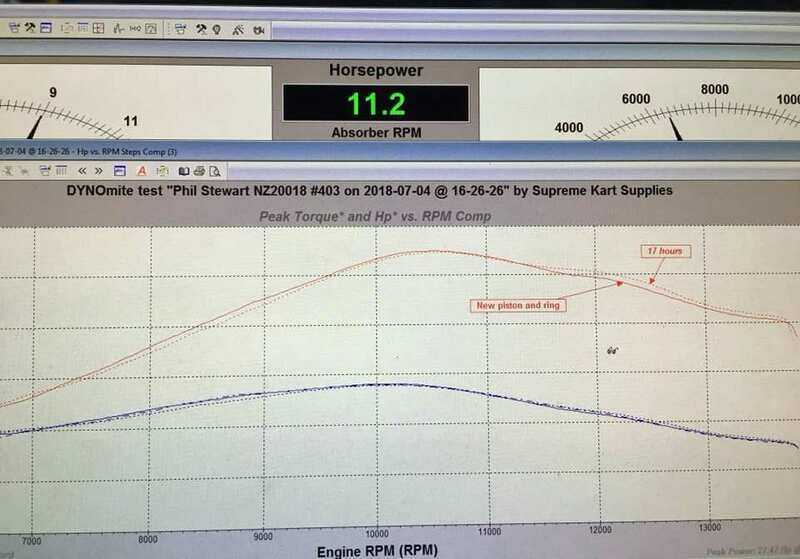 Dyno chart, Stewart engine; Credit Supreme Engines.